If you feel intimidated exercising on your own, why not workout in a group? A group workout program will have a personal trainer to head it, and for those wanting to work with a personal trainer in a cost effective manner, should invest in a group workout program. There are many benefits to exercising within a group. If you find yourself lacking energy when training on your own, you can be certain there is no lack of energy when training with a group. A group exercise session has plenty of energy inside the room. There is an air of excitement that feels contagious. Whether it is boot camp, power yoga, aerobics, Zumba or spinning you know as soon as the music starts you just want to get moving. When you think of getting up in the morning, and hitting the gym by yourself it can be lackluster. You may want to hit the snooze button and go right back to sleep. This is certainly true if you are new to exercise. Taking on a regular exercise routine can be intimidating. If you have access to an expert personal trainer you will be motivated to get out of bed. Remember, it is not just you but many others in your group that are also new to the exercise program. Having a personal trainer by your side to teach you the ropes help immensely. If you struggle with motivation or a challenging routine, your trainer and peers together will push you gently to get back on the right track. 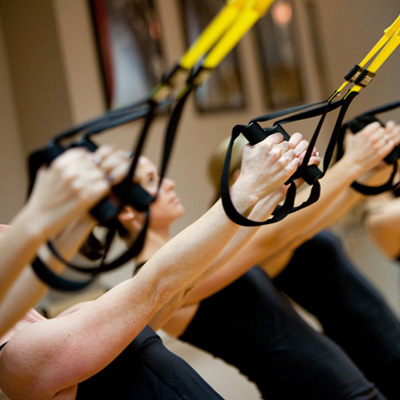 Your confidence will soar at each session, making group workout a worthwhile investment. Group exercise is also a great way to socialize. You may even meet your lifelong friends in your group. These sessions provide an ideal way to not only exercise and be at your healthiest, but to develop friendships with people from diverse backgrounds and all walks of life. You will not only be exercising together, but also sharing advice on nutrition and diet, workout tips and much more. If you workout in a group, you know you must be accountable and do your part. Your personal trainer will have a fixed schedule for everyone to meet at the same time. If you do not show up or get late, you will be wasting everyone else’s time. You will also lose their respect. A group workout is a great way to stay accountable and stick to the job from start to finish. Beginning an exercise program is not enough. Sticking to it is what makes the difference between achieving and falling short of your health and fitness goals. A group workout is best for those that struggle to workout on their own. In the midst of enjoying yourself, you may actually forget you are in the middle of a strenuous exercise routine.